1. A USA where we use all of our vacation days would be a happier, more relaxed USA. Americans love their work, and apparently they’re willing to sacrifice their paid vacation days to prove it. In 2013 alone, Americans forfeited $52.3 billion in time-off benefits, according to a study by Oxford Economics. In 2014, a poll found that 42% of Americans didn’t take a single vacation day. There’s nothing wrong with loving your job, but taking a break and going on vacation every now and then is tied to a number of health benefits. People who take vacations are happier, and men who don’t take vacations for several years are 30% more likely to suffer heart attacks. On top of this, vacations are a great way to de-stress, and stress is a huge factor in a wide array of physical and mental health conditions. 2. Meeting people from other cultures helps make us more worldly. The stereotype about Americans is that we never travel abroad, and there’s a false stat that still flies around the internet about how only one-fifth of us have passports. The true number is now up to one-third, which can only be a good thing. But that leaves two-thirds of Americans who don’t have a passport, and therefore can’t travel abroad. There’s evidence that travel is tied to greater creativity and open-mindedness — when you get away from home, you can better see the world as a whole, rather than just from your tiny corner of it. And that most certainly results from meeting people you’d never encounter at the Shop ‘n’ Save in Anytown, USA. 3. By seeing more of the world’s endangered animals and ecosystems, Americans could become better stewards of our own environment. The Nature Conservancy has found that kids who spend time in nature are more likely to feel a personal investment in protecting the environment. And while the US has plenty of beautiful ecosystems of its own, most of us have to work pretty hard to access them, traversing endless miles of suburban strip malls and developed agricultural land along the way. Compare this with a country like Costa Rica — just a few hours away by plane — where 26% of the land area is protected and harbors a huge variety of wild animals that we just don’t have in the United States. Tropical rainforests are one of the most important and fragile ecosystems — Americans could benefit from exposure to places like this that are unavailable to us in the continental US. A more environmentally aware United States is a more environmentally friendly United States. 4. A USA that’s more multilingual could be a kinder, more inclusive place. About a quarter of Americans are multilingual, which is actually surprisingly low for a country of immigrants. Choosing to learn another language — especially when you weren’t raised with it — is an act of opening your mind not only to the language you’re learning, but to the culture surrounding it. It’s also an active decision to try to better understand the perspective of a group of people to which you don’t yet belong. 5. Getting out into nature is good for our physical and mental health — and Americans could use a bit more of both. Vacation is good for your health, but so is getting out into nature. It’s been tied to lower levels of depression, increased fitness, lower levels of stress, and even a decrease in the symptoms of Alzheimer’s and dementia. So taking a vacation to a place that’s out in nature is going to be doubly good for your physical and mental health. 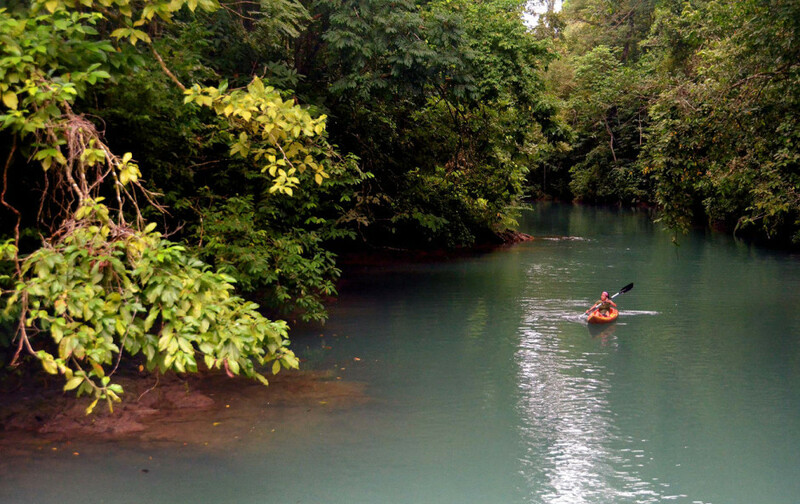 Tell your friends (and your boss): Trips to free-flowing rivers, jungles, and beaches can help you relax and get healthy. 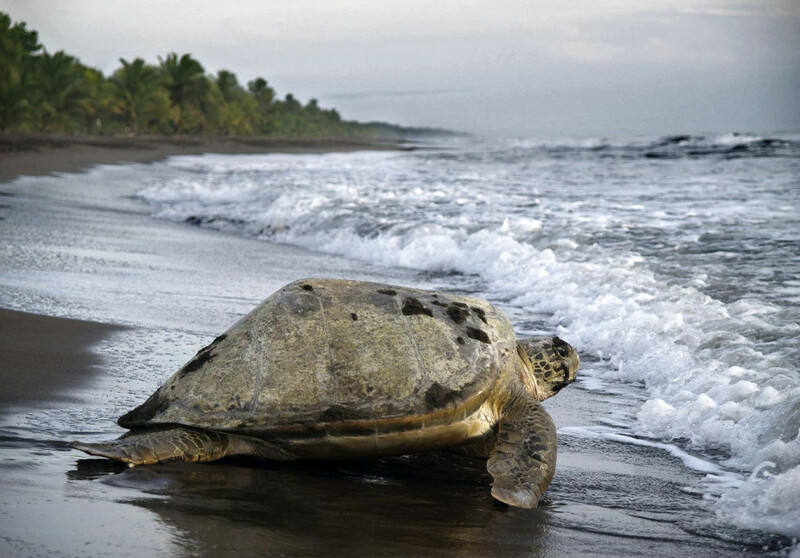 You’ll find all three on the Osa Peninsula of Costa Rica. 6. Americans absorb the best parts of other cultures and make them their own — especially when it comes to food. Because the United States is a country of immigrants, we’ve become particularly good at taking the best elements of the countries we’ve left behind and making them our own. Everything from our music to our literature to our food is a product of the melting pot. And the great thing about a melting pot is that you never have to stop adding ingredients to it. If your family has been in the US for 17 generations, so what? Travel somewhere else, learn a new custom or dish, and bring it back to America and share it with the rest of us. 7. Young people who see the world today are those who change the world tomorrow. I studied abroad back in 2007, and I’ve stayed in touch with most of my friends from that time over the years. The vast majority of us were transformed by our time abroad, and most of my friends have decided to spend their lives helping people other than themselves. There’s the friend who works on political campaigns while also helping to fund a Cambodian orphanage on the side, the two public health workers, the five who chose to teach English in Japan, Korea, and China for years, and a huge number of people who continue to be environmental, anti-poverty, or human rights activists in addition to working full-time jobs. Young people who learn about the world go on to change the world. The more young people we can get traveling, the better. 8. Through travel, we learn more about our own history. One of the best ways to learn about your own culture is to see it from afar. Travel provides a chance to step back and view your history and culture through the eyes of those who live outside it. And the fact is that the history of the United States is inextricably linked with the history of the rest of the world, particularly our neighbors to the south. Nothing builds an appreciation for nuance more quickly than stepping out of our day-to-day routines. 9. We could use a bit more adrenaline in our lives. 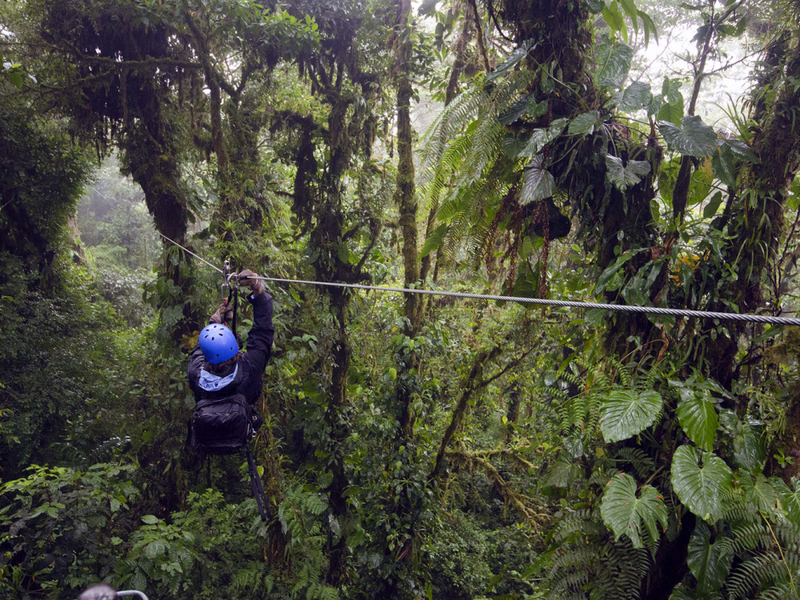 The two best travel memories I have are of bungee jumping into the mouth of a cave in Brazil, and ziplining along a ropes course in the jungle canopy of Arenal Volcano National Park in Costa Rica. Adventure travel is the way to go. You haven’t lived until you’ve flown past a pack of spider monkeys in the treetops of a tropical rainforest. 10. Other countries — all of them — have something to teach us. The great thing about travel is that it’s unpredictable. You can’t know what’s going to happen ahead of time. You can’t know which moment’s going to stick with you for the rest of your life. Will it be an afternoon of solitude on the beach? Will it be something your guide says over drinks at a local bar? An interaction with a local while visiting a remote town? This moment happens on every trip: the moment that teaches you something you never knew — something you never realized you didn’t know — and changes you, in a big or a small way. 11. It’s affordable to travel — and it’s unaffordable not to. There’s an entire subsection of the internet devoted to helping you travel affordably. There are sites that help you find the cheapest flight, sites that help you maximize your frequent flyer points, sites that help you with virtually every other aspect of paying for your travels. On top of this, the evidence continues to grow that not traveling is bad for your physical and mental health, which can make life very expensive down the road. In that sense, travel is not only an affordable option. It’s a necessity.